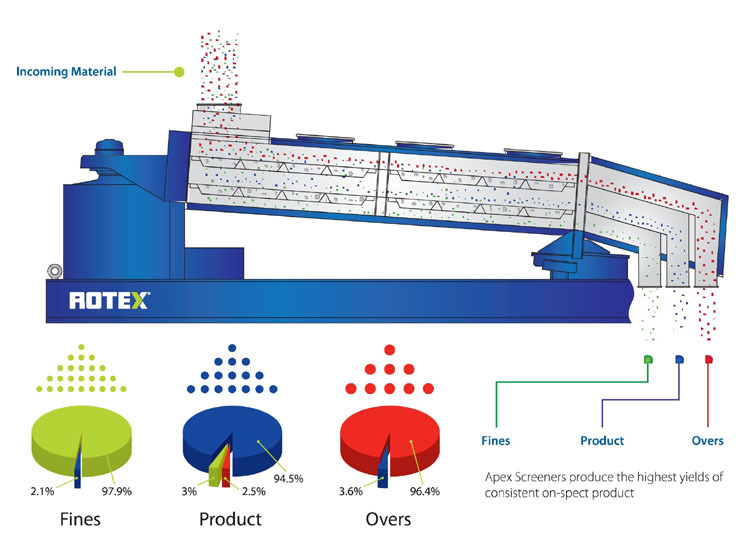 The APEX™ retains the gyratory motion and efficient processing characteristics of the ROTEX Screener and incorporates new ergonomically-designed performance and service features. 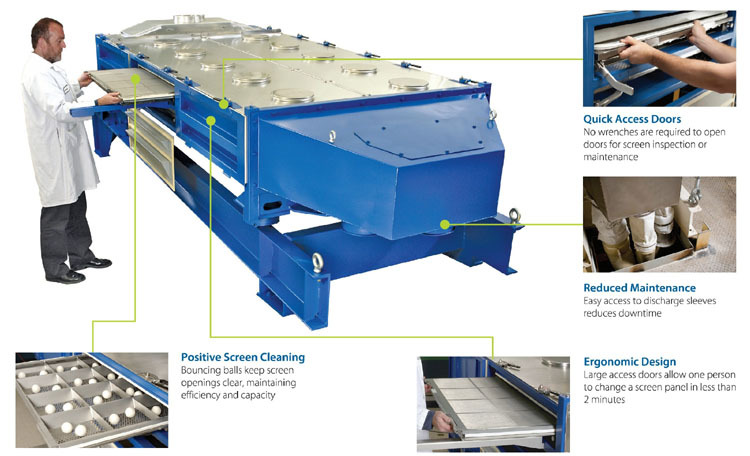 This design allows for quick inspection and servicing of the machine, resulting in true and quantifiable process savings within the production line. Increased " up-time " - increased production. Quick easy seal and screen inspection and changes by one person. Screen weigh less than 7 Ibs. Can tweak machine performance with different screen openings.